Have you ever wondered if plants move? Year 3 explored this idea and others as part of their science lesson today. Mrs Nerg isn’t a real scientist as far as we know, but if you use the letters in her name, you’ll learn what the 7 life processes are – Movement, Reproduction, Sensitivity, Nutrition, Excretion, Respiration and Growth. We talked about how these apply to humans and other animals, but wondered how many of them applied to plants. Was it just one or two? Could it be three or even as many as five? Surely not all seven. We talked about each of the processes and agreed that 6 of the 7 applied to plants but needed some proof about movement. 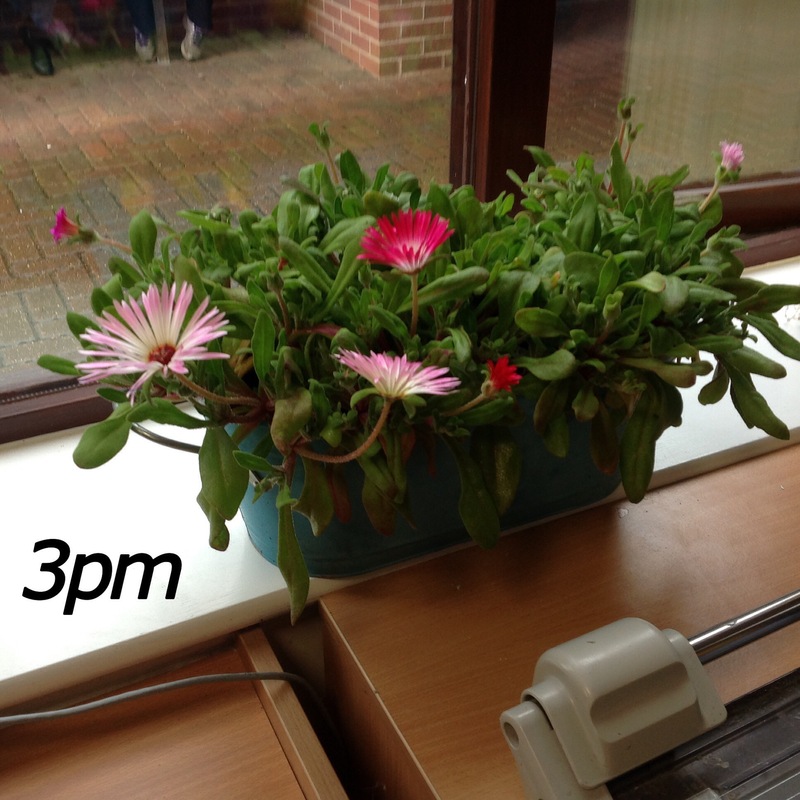 You may have noticed some Mesembryanthemum growing in the Year 3 garden, perhaps this sun loving plant with its bright flowers could tell us? These two photos might hold some clues, can you spot the difference? 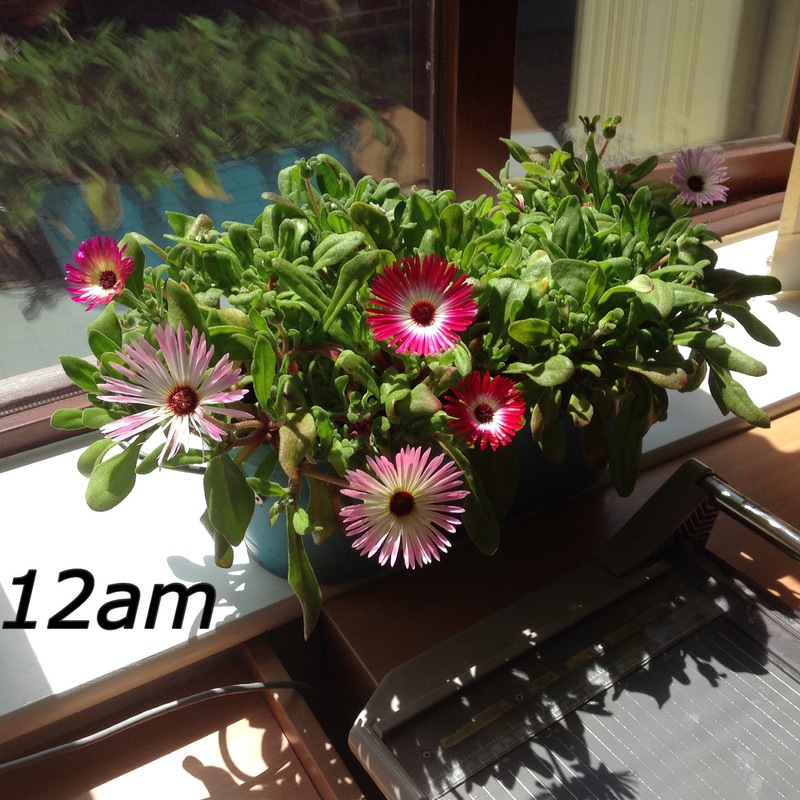 Did the flowers move in 3 hours? What do you think? Next Post A wonderful day by the sea. Since lunchtime it has changed by a big difference it was facing the sun but around 2:20 to 3:00 it was raining so the flowers were closing. 8:45 today the flowers were shut. Now the flowers are being sketched by Grace C, Alice, Lily, Alfie and Bradley as part of our observational art. Nash. Thank you for the update Nash – next week I shall pop into your class to have a little peep!